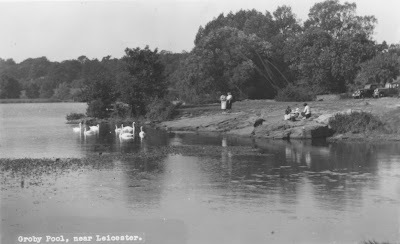 I remember we would often stop and look out over Groby Pool from the ledge you can see on the postcard. One time it was frozen over and people were walking across it to the island but I didn't. I did want to go across but at a very early age I listened to the adults who said the ice might break.